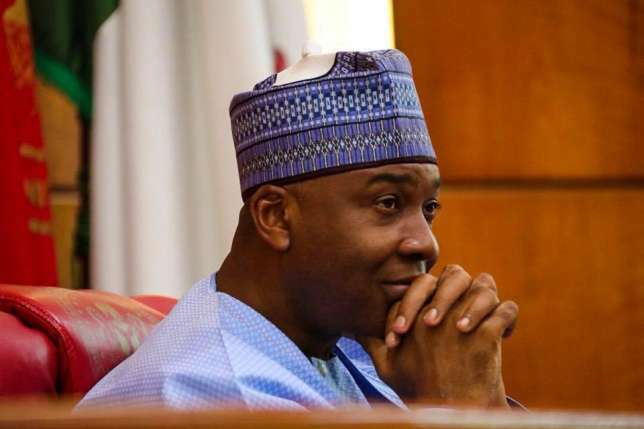 Senate President, Dr. Bukola Saraki has revealed he is considering running against President Muhammadu Buhari in next year’s Presidential elections. Saraki who spoke to New York-based news agency, Bloomberg on Tuesday in an interview at his residence in the capital, Abuja said, “I am consulting and actively considering it, I believe I can make the change,” adding that if he makes up his mind to run, it would be on the platform of the opposition People’s Democratic Party (PDP). Speaking on the chances of the PDP winning the hearts of the electorates, his remarks was that, “The PDP has learnt its lesson from the loss in 2015, and I think unfortunately the APC did not learn from their victory. “While negotiating with the PDP, we listed a number of issues. We talked about how to sustain and improve the fight against corruption; the issue of providing more powers to the states; inclusion and having a more nationalistic approach on things we do; to continue to improve the environment that will ensure investments. “We would ensure that the party is strong on security. The APC too have not done well on the issue of security. We have the opportunity with the right kind of presidential candidate and president to provide the leadership for the party. The Senator representing Kwara Central has been under intense pressure from the ruling All Progressives Congress (APC) to resign or face impeachment following his recent defection to the main opposition party, the People’s Democratic Party (PDP) in July this year.